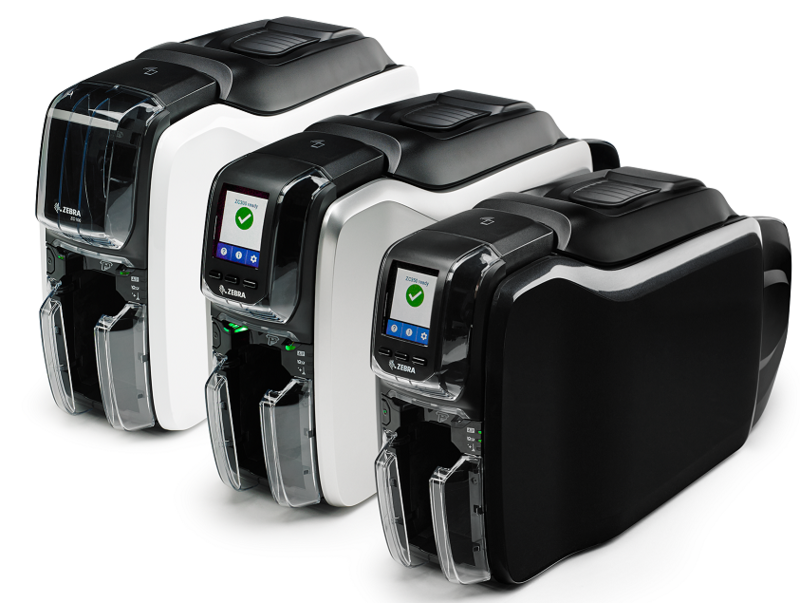 The new card printers from Zebra Technologies are some of the most intuitive and easy-to-use card printers available today. With a new printer driver that offers a one-of-a-kind graphical user interface that brings a new level of simplicity that makes controlling the printing process a breeze. The new Zebra card printers come in three options: The ZC100, The ZC300, and The ZC350. The ZC100 is designed to work right out of the box, no time wasted with a complicated set-up. With a printer cover lock the ZC100 prevents the theft of card stock allowing the printer to be installed in public-facing areas. This single-sided card printer has the consumer good looks required to fit in customer facing areas; ideal for Retail, Hospitality, and Identification. The ZC300 allows users to interact with this card printer in their native tongue allowing users to easily understand what the printer needs and how to perform virtually any function. 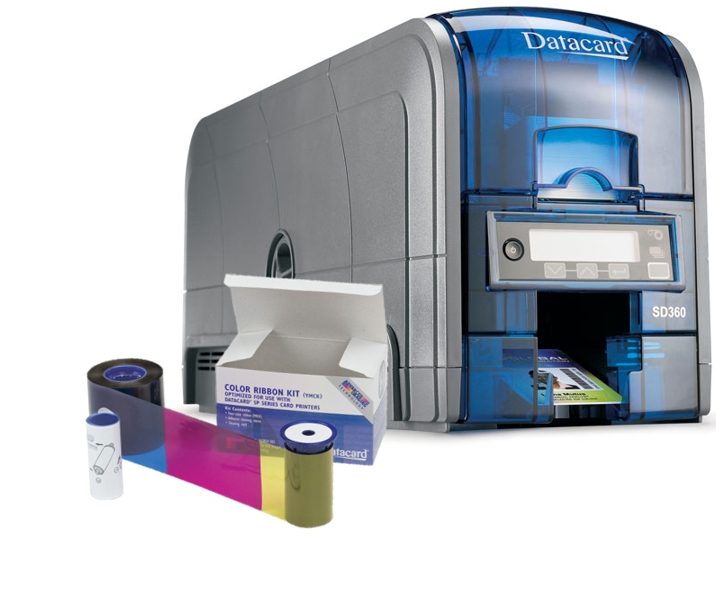 The dual-sided card printer gives users the option, with advanced features, to print dual-sided color cards with complex artwork just as easily as a basic-single sided black and white cards. Ideal for General Access Control, Education, Retail, and Hospitality. The ZC350 has one of the fastest print speeds in the class and with a re-designed hopper it makes loading and unloading cards easier than ever. 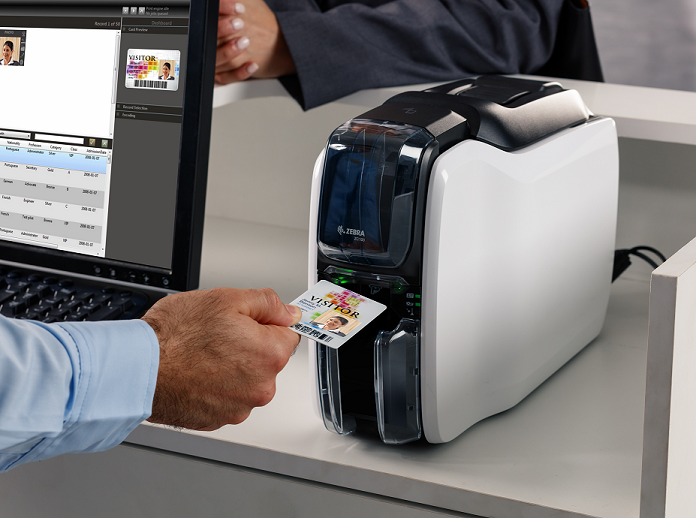 The dual-sided card printer allows users to print what they want, when they want, from just about anywhere. With a small footprint the ZC350 is designed to fit in most places including under the counter or a shelf. Ideal for General Access Control, Education, Retail, Hospitality, and Financial Services. A redesigned look that fits in a modern space with easily removable side panels that can be customized. Small footprint, a narrow profile with all the touch points facing the user in the front, allowing the printer to fit nicely into desktop applications. Balanced 100-card input and output hoppers with automatic card thickness adjustment. Manual card feeding slot with an LED light pipe for simplified use. Card reject bin capability, available on dual-sided units. Support for adhesive backed cards and cards with pre-punched holes. Redesigned ribbon cartridge with a smart chip, enabling simplified ribbon loading and secure ribbon authentication. New ribbons available with ZC350 to enable long lasting color cards without lamination, color shifting security effects, or metallic 3D visual effects. Upgradable features including dual-sided printing, Wi-Fi, magnetic stripe encoding, and smart card encoding (as applicable to the specific printer model). Full color graphical LCD, USB and Ethernet connectivity are standard on every ZC300 and ZC350. HF, Contact encoder with 1 SAM slot available with ZC350 (LF/HF/Contact encoder with SAM socket available as an update kit), no smart card encoder available with ZC300. Zebra Integration Pocket (ZIP) is a smart card integration kit for 3rd party contactless encoders that can be integrated with any ZC100/ZC300 Series printer. Redesigned driver interface with preview capabilities for optimizing printing settings; drivers available for Windows, Linux, and Mac operating systems. Give our dedicated account managers a call if you have any questions or would like a quote on any of products above.